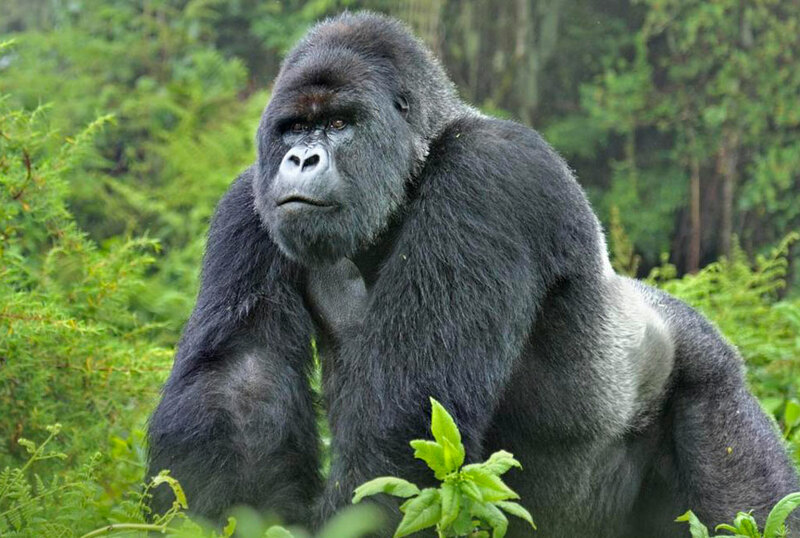 Your 8 days Uganda gorilla safari Bwindi, Queen Elizabeth wildlife tour & Chimpanzee trekking tour Kibale or 8 days Uganda gorilla safari and wildlife tour offers a gorilla trekking and wildlife encounter experience. 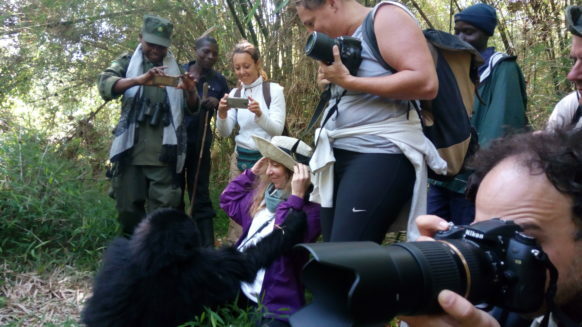 The 8 days wildlife tour and gorilla trekking safari in Uganda features the equator experience, chimpanzee trekking in Kibale forest national park, Bigodi wetland nature walk, game drive and boat cruise at Queen Elizabeth National Park, gorilla trekking in Bwindi impenetrable national park and a boat cruise at lake Bunyonyi. On day 1 of your safari, your Uganda safari driver guide picks you up from Entebbe international airport for a transfer to a hotel in Kampala-Uganda’s capital where you relax from jet lag. The next morning, your driver guide picks you up for a drive to Kibale forest national park where you spend the night at an accommodation close to the park. The next morning, you go for chimpanzee trekking at the park then go for a nature walk at Bigodi wetland in the evening. After breakfast the next morning, you are driven to Queen Elizabeth National park via the ishasha sector arriving for an evening boat cruise and an overnight stay. 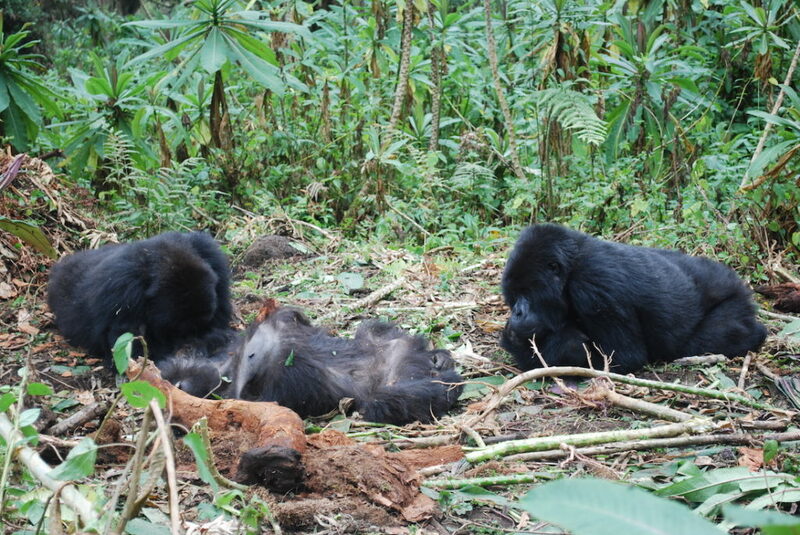 In the morning on day 5, you will go for a game drive, have lunch then transfer to Bwindi impenetrable national park. Gorilla trekking starts by 8:00am on the 6th day for 2-8 hours then a drive to Lake Bunyonyi the next morning for a boat cruise. You depart via Entebbe international airport the next day after a drive from Lake Bunyonyi. Day 1: You arrive to Uganda at Entebbe international airport at the shores of Lake Victoria where you meet a Uganda safari guide who welcomes you to Uganda, helps with transfer and briefs you about your safari. Day 2: By sunrise, your knowledgeable driver guide will be at your lodging facility in Kampala to pick you up for a drive to Kibale forest national park. 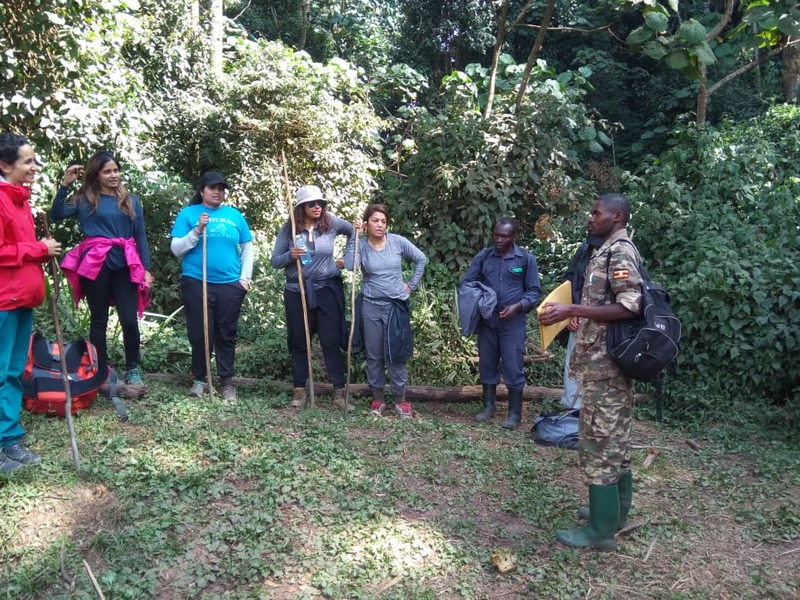 Day 3: You go for morning chimpanzee trekking in Kibale forest national park then go for an evening nature walk at Bigodi wetland. Day 4: after breakfast, you are driven through the ishasha sector to Queen Elizabeth National park where you do aa late evening boat cruise. Day 5: You do a morning game drive for early risers’ sightings then drive to Bwindi impenetrable national park in the evening. 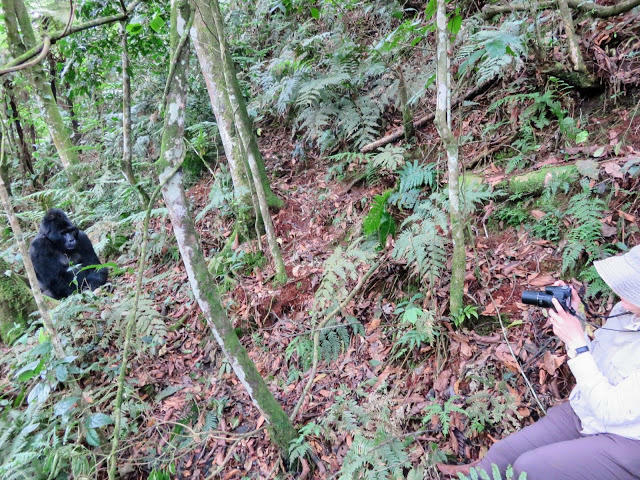 Day 6: By 8:00am, you will be having a morning gorilla trekking experience for about 2-8 hours. Day 7: After breakfast, you embark on a drive to Lake Bunyonyi where you undertake a canoe ride to the islands on the deepest lake in Africa. Day 8: After a relaxed breakfast, you are driven past beautiful landscapes to Entebbe international airport. Slowly landing down to this African continent, you arrive to Entebbe international airport at the shores of Lake Victoria-Africa’s largest continental Lake. Here you meet your knowledgeable safari guide who helps you with the transfer to a booked hotel in Kampala. 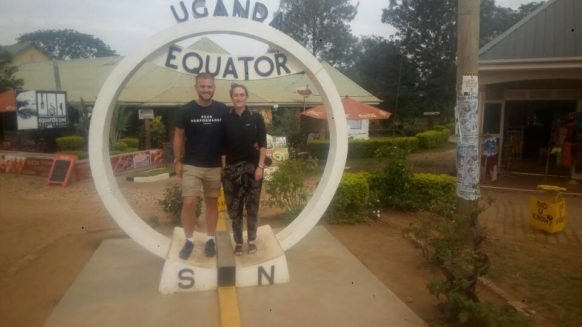 During the drive, you are briefed on the safari in general and also introduced to Uganda, you arrive, check in, have dinner and rest from jet lag as you wait for a drive-up country the next day. 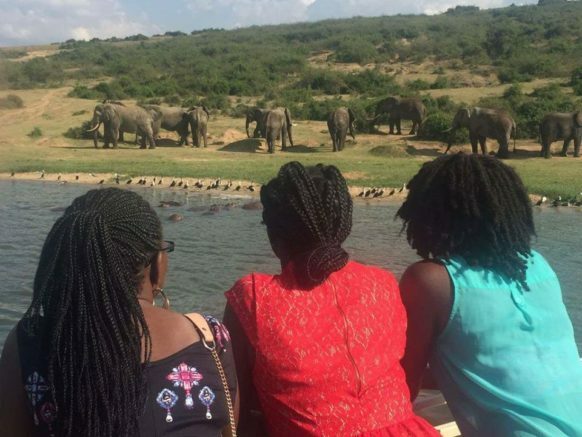 Upon early arrival at Entebbe international airport for a Uganda wildlife safari, a knowledgeable driver guide will welcome you and start the drive to Kibale forest national park. You with the drive arriving for check in and relaxation in an accommodation in Kibale forest national park where you prepare for chimpanzee trekking the next morning. In 8 days you can have a wholly amazing primate, apes and gorilla trekking experience without missing out on any fun alongside a knowledgeable amazing safari guide.